The Port Melbourne Naval Drill Hall was built in 1912 to the design of Commonwealth Department of Works architect JS Murdoch, and is one of the first major buildings constructed for the newly formed Royal Australian Navy. The drill hall adjoins the former Sandridge Post Office which was built in 1862 to the design of Victorian Public Works Department architect JJ Clark by builders Griffiths and Co. The design, apart from being executed in brick rather than bluestone, is identical to the Kilmore Post Office (HR1190) usually attributed to Henry Williams but possibly also by Clark. The former post and telegraph office was transferred to the Commonwealth on Federation. The building was adapted for use as naval offices in 1911on the completion of a new post office further along Bay Street. The former post office is a distinguished Italianate design in tri-chrome brickwork and has had several reasonably sympathetic additions and alterations to adapt it for office use. The naval drill hall is a fine example of Edwardian Free Classical architecture distinguished by an assured handling of massing and materials using rough stone plinths, shaped and plain red bricks, and dressed sandstone in the English Arts and Crafts tradition. The building is unusual in the context of other militia drill halls of the period which were typically constructed of timber and corrugated iron. It is more like Murdoch's other naval buildings at HMAS Cerberus at Crib Point and the former Royal Australian Field Artillery Barracks at Maribyrnong (HR1098). 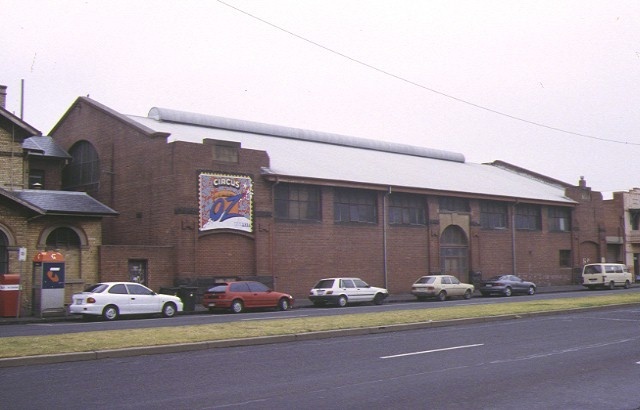 The naval drill hall was used as a recruiting centre in both World Wars and since the demolition of the nearby HMAS Lonsdale and the Victualling Stores is the last remaining place in Port Melbourne with naval links. The Naval Drill Hall and Former Post Office Port Melbourne are historically and architecturally important to the State of Victoria. 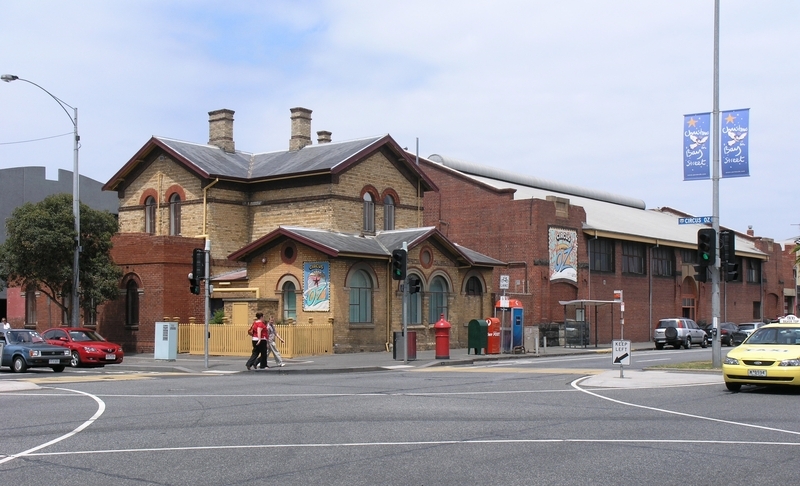 The Naval Drill Hall and Former Post Office are historically important for their long associations with naval training in Victoria. Port Melbourne, along with Williamstown, is historically important in the development of the Royal Australian Navy. Victoria had the most powerful and best organised of the colonial naval forces at Federation, and Port Melbourne was the home of naval militia training. After Federation the continuing naval importance of Port Melbourne was recognised by the construction of the drill hall. The significance of the drill hall is accentuated by the high quality of its design and materials which were unusual in the militia context of the period. The Naval Drill Hall and Former Post Office are historically important as the last remaining tangible link with naval history in Port Melbourne. The Naval Drill Hall is architecturally significant as an important Victorian design of Commonwealth architect John Smith Murdoch whose nationally important works include Old Parliament House and Yarralumla Canberra, HMAS Cerberus Crib Point, RAAF Point Cook and the former High Court 450 Little Bourke Street and the former Mail Exchange Spencer Street Melbourne. Former Post Office is architecturally significant as a design of noted Victorian Public Works architect John James Clark whose most famous work in a long and distinguished career was the Old Treasury building. Naval Drill Hall and Former Post Office, 40 Bay Street, Port Melbourne, Port Phillip City Council. 1. 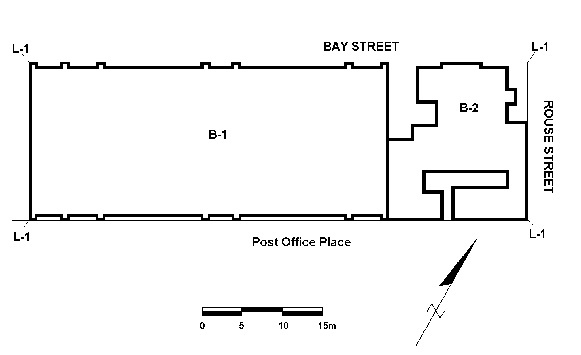 All of the buildings marked B-1 (Naval Drill Hall) and B-2 (Former Post Office) on Diagram 607496 held by the Executive Director. 2. All of the land marked L-1 on Diagram 607496 held by the Executive Director, being all of the land described in Certificates of Title Volume 5833, Folio 505 and Volume 3714, Folio 771.
all works shall be in accordance with it (see below).